This article is published on IYSN on behalf of Ms. Krishnaveni B. and adheres to all Copyrights Acts, national & international. For Copyright Disclaimers or any other further information on this person, please contact any of the IYSN administrators under Contact Us. Remember the advertisement launched months ago by popular cosmetic brand which propelled tall claims of ageless beauty through the induction of element Gold in their fairness cream. Have you ever thought why the cosmetic brand would include already expensive Gold increasing the cost value of the product? Or have you wondered about what exactly are the “MAGNETS” or “GRANULES” in famous toothpaste brands that guarantee freshness throughout the day! But where do the ideas for innovations come from? The answers to these the questions lie in the advent of the latest kid on the block-Nanobiotechnology!!! I’m calling it a kid because the field is still in its infant stages. Nanobiotechnology is merger of the nanotechnology and biology. The main concern of Scientists world-wide is reducing the scale of medicine consumptions from micrograms to nano-scale. Our body cells have capacity of absorbing medicines in micro amounts. But we have been stretching the absorption capacity of our body cells by providing medicines in amounts which is 10 times the required quantity. By doing so, we have been exposing our body to the unwanted cluster of medicine debris which gets accumulated in the cells and in turn shorten the average life span of human being. No wonder that our fore-fathers who not only lived healthy life-style but also enjoyed the daily dose of nature’s aroma lived longer!!! This is where Nanobiotechnology is awaiting to spin its magic. The concept behind the merger of biological sciences with nanotechnology lies in the fact that for eons, many important biological systems have been working on nanoscale machinery. Our world is full of nanodevices ranging from the common flagella used by microbes for their movements to the rotary motions of the enzyme ATP synthase without which ATP synthesis would never occur! The recent advancements aim at imagining and creating systems which mimic the biological nature of cells. Developing new tools and vectors is also another objective of this magnetic field. This leads us to next question-how do we synthesize these nano scale particles. Is it possible to synthesize these nano-particles which are invisible to naked eye? What are the basic approaches for nanoparticle synthesis? Bottom-up approach- to assemble smaller particles into larger complexes. Top-down approach- Larger particles direct assembly of smaller devices. Functional approach- here components are assembled which have specific functionality. Biomimetric- here biological systems are mimicked with an attempt of creating new biological systems to study these technicalities. But let’s take a glance through the procedure that we adopt at laboratory level for nanoparticle synthesis from available sources-either bacteria or fungi or plant sources. If the source being used is bacteria or fungi, then the procedure begins with the growth of the organism on suitable media-Nutrient agar for bacteria and Potato Dextrose Agar for fungus. In case of plant sources mostly dried parts of the plant like leaves, roots or stems are used. The selected sources after proper growth (which involves incubation for 24 hours) are re- incubated with nano-gram amounts of the either Gold nitrate or Silver nitrate. Each of the selected sources has active element like plant sources are rich in antioxidants and other mineral sources. The next step comprises analysis of the nanoparticles produced. High sensing microscopic techniques like TEM, SEM and FTIR are most commonly used for studying the particle size and surface topography of the synthesized particles. Atomic force microscope and Scanning probe microscopy is used for characterization. 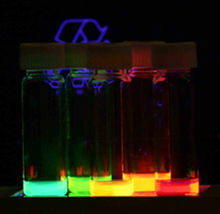 The next step is utilization of synthesized nanoparticles. But what really are their uses?? Nanoparticles have been shown to have utility in varied fields ranging from drug delivery to cancer research. Whole organ regeneration is one of the major applications. Funding for research is currently enabling patients to have new limbs without prosthesis. Another major advantage of using nanoparticles is their Bioavailability which makes it possible to target the manufactured Drug to specific cells which maximizes their effect. Major flaws have been observed in fluorescent labels that are most commonly used for tagging antibodies in Immunoflourescence tests. But the new generations of quantum dots have far-reaching potential for the study of intracellular processes at the single-molecule level, high-resolution cellular imaging, long-term in vivo observation of cell trafficking, tumor targeting, and diagnostics. You might have heard about Biosensors, but the latest innovation is Nano-biosensor. It is analyte that combines biological component with physiochemical detector. Nano-biosensors have found wide applications in environmental monitoring, Ground water screening and Ocean monitoring. A recent research work done by the Brighton University claimed to have found cost effective way for clean-up of mercury from the contaminated soils and water using silver nano-particles. This was possible because silver has high level of purity and hence can cause impregnation of mercury on its surface. Nanoremediation has the potential not only to reduce the overall costs of cleaning up large scale contaminated sites, but it also can reduce cleanup time, eliminate the need for treatment and disposal of contaminated dredged soil, reduce some contaminant concentrations to near zero, and can be done in situ. 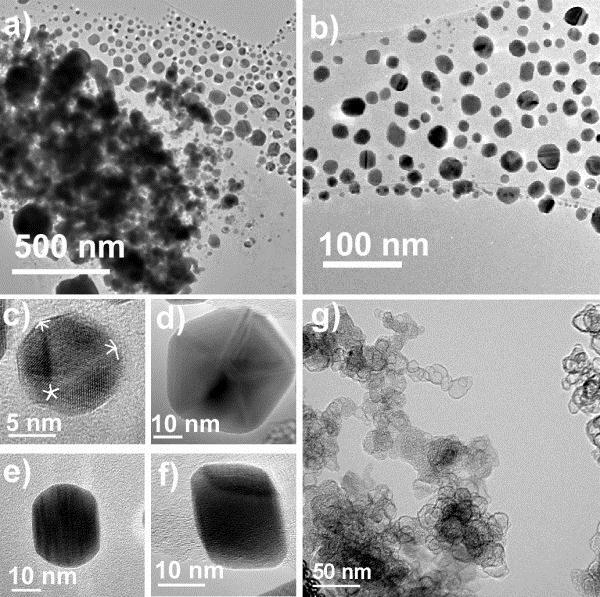 In situ nanoremediation methods entail the application of reactive nanomaterials for transformation and detoxification of pollutants in situ, or below ground. No groundwater is pumped out for above ground treatment, and no soil is transported to other places for treatment and disposal. Because of the high cost and lengthy operating periods for pump-and-treat remedies, in situ groundwater treatment technologies are increasing. These are some of the ground level research work that has been conclusively done using nano-particles. Future holds much more promise for development of this field from its infant stage into full-fledged science. Once this happens there will be no looking back!!! « An Eat-or-Be-Eaten Cosmos- Dr. Piccioni.